Welcome to the website of MMC Autochip! If your car means a lot more for you than just a vehicle, and would like to exploit the engine’s hidden power, you are at the right place. 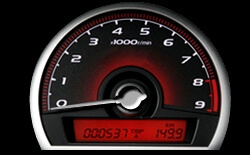 On this webpage you’ll find detaild information on different tuning solutions in a simple, and clear language. Every engine has unexploited power reserves that can be unleashed by optimisation and chip tuning. Performance gain in a car is achieved by the ignition timing advance. Higher timing may result in higher performance and higher fuel efficiency. In our chiptung page you’ll find detailed information about the procedure, function as well as the result of engine optimisation. We will explain how it is possible to reduce fuel consumption and increase horse power at the same time. On our TÍPUSVÁLASZTÁS page we’ll show you in a table the difference in horse power as well as in torque after the application of fine engine tuning. In this table we will examine and show the result by each car type.